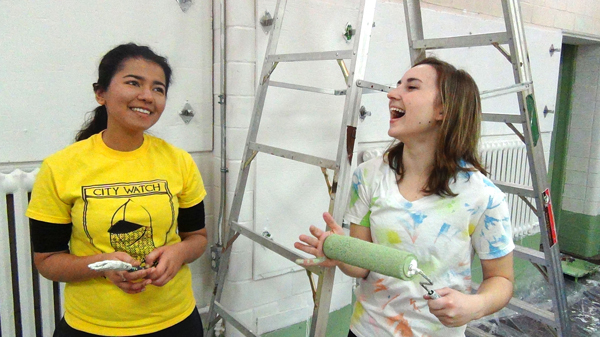 While thousands of North American students spent March Break basking in the sun in warm southern climes, 57 McGill students volunteered their time helping a variety of Montreal community organizations as part of the University's second annual Alternative Spring Break. 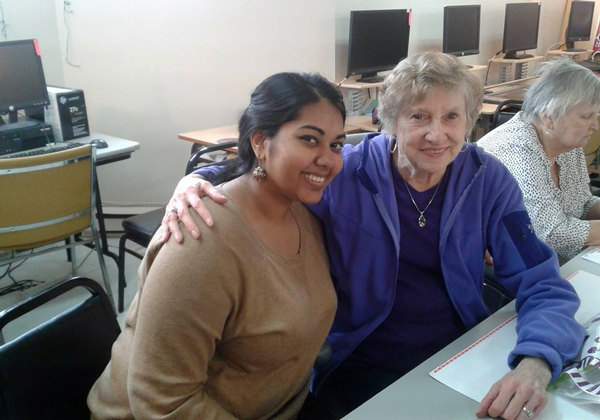 Shivana Mohammed with a participant at the St-Antoine 50+ Centre. / Photo: Jennifer Yang. While thousands of North American students spent March Break basking in the sun in warm southern climes, Andrea Terceros, spent much of her week wandering around – and sometimes getting lost in – Montreal’s icy streets. Terceros was participating in Alternative Spring Break (ASB), an initiative organized by McGill’s Social Equity and Diversity Education Office SEDE in collaboration with Campus Life & Engagement. Running from March 2-6, ASB provided McGill students with the chance to engage with the Montreal community through five days of volunteering, learning and interacting with people outside the University bubble. Gul Saeed and Sophia Metcalf volunteering at Maison de l’Amitie. / Photo: Tatyana Olal. This year, students also could earn a credit for participating in ASB. In partnership with McGill’s School of Continuing Studies’ Personal and Cultural Enrichment Program, a one-credit course is offered – called Topics in Volunteerism and Community Development – which complements the service learning that occur throughout the ASB experience. For Terceros, the ASB experience not only opened her eyes to the challenges faced by many seniors, it has inspired her to help even more. “I definitely want to continue volunteering but in a more direct aspect,” she says. “I want to join a program where I can participate organizing and helping carrying out various events for seniors: such as a reading club, a board games evening, arts and crafts lessons, among others. I want to work more closely with seniors in order to integrate them into the community and put an end to the isolation they face.